Shah Rukh Khan and Gauri in Mumbai. 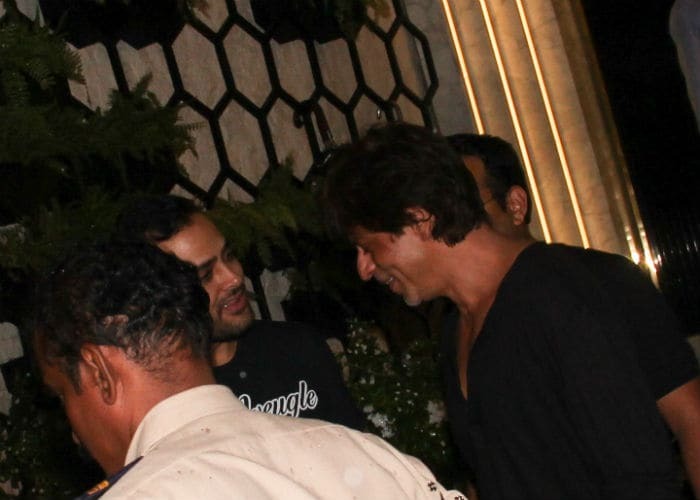 Actor Shah Rukh Khan and his wife Gauri caught up with their friends over dinner on Monday at a suburban Mumbai restaurant. A casual dinner with friends is definitely a perfect way to start the week. 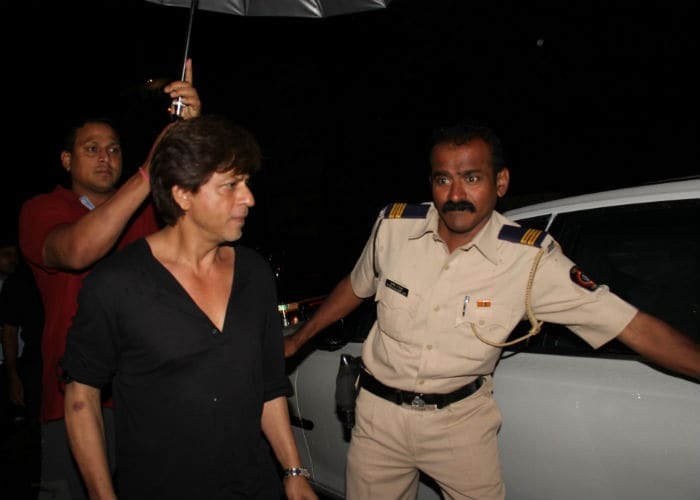 Shah Rukh Khan, 51, arrived separately - excuse SRK for the lateness because he is a busy man with the promotion of his next, Jab Harry Met Sejal, almost set to begin. 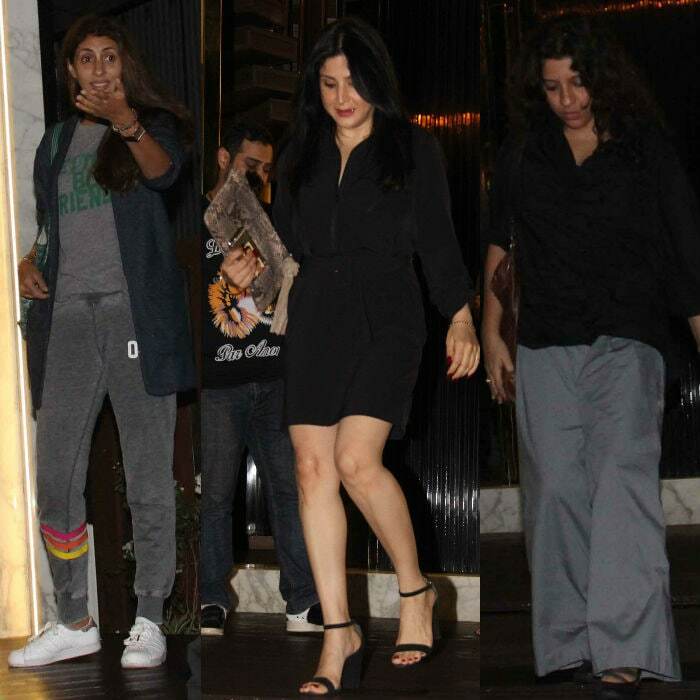 Actor Amitabh Bachchan's daughter Shweta Nanda, designer Maheep Kapoor (Sanjay Kapoor's wife) and their friend Kaajal Anand joined Shah Rukh and Gauri for dinner. Here are some pictures from their dinner get-together. Take notes from Gauri Khan for your next casual dinner party. A black layered top and denims with hair tied in a top knot, is one way to impress your friends the next time you see them. Shweta Nanda's approach was inclined towards casual. She wore a grey tee and track pants with a blue jacket. Maheep Kapoor also scored high on our fashion-meter; after all, you can never go wrong in an LBD and sleek black heels. Filmmaker Zoya Akhtar teamed a black top with grey palazzos. Shah Rukh Khan's next Jab Harry Met Sejal co-stars Anushka Sharma and the Imtiaz Ali-directed film is all set to release on August 4. Shah Rukh averted a box office clash with Akshay Kumar's Toilet: Ek Prem Katha, which releases on August 11. After Jab Harry Met Sejal, Shah Rukh and Anushka will get busy filming Aanand L Rai's untitled project, in which SRK plays the role of a dwarf. The film also features their Jab Tak Hai Jaan co-star Katrina Kaif.